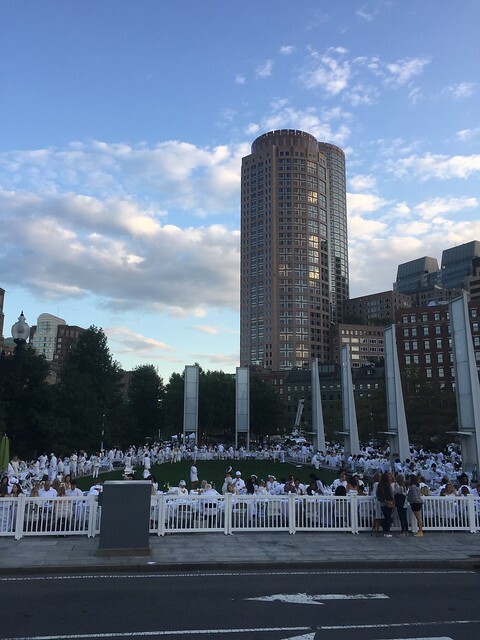 On Saturday, September 10th, some 2,000 Bostonians donned their finest white garbs and flocked to the Rose Fitzgerald Kennedy Greenway to fete the annual Dîner en Blanc with plenty of curious onlookers inquiring about the grand spectacle. 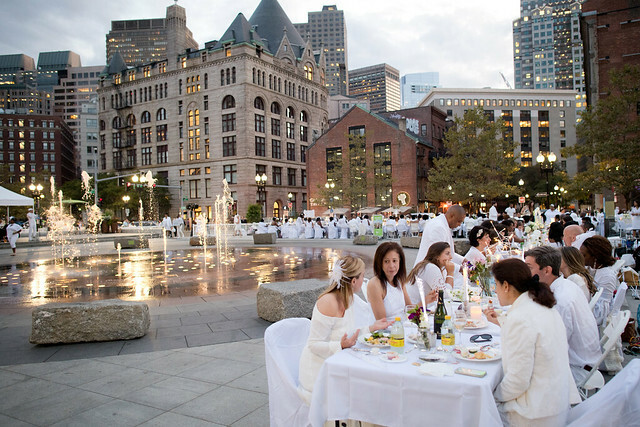 Launched nearly 30 years ago in Paris, Dîner en Blanc promotes friendship, elegance, gallantry and a sense of community and is now held in over 80 cities in more than 30 countries around the world. 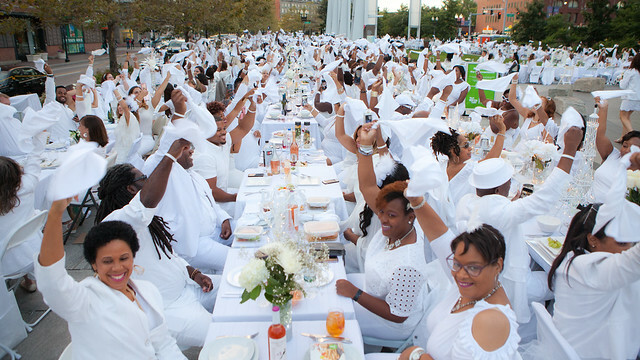 For the uninitiated, the annual white dinner party pop-up has a top secret location revealed the same day to guests who provide their own dining accoutrements to accompany a catered dinner, this year provided by Bon Me, Captain Marden’s, and Pennypackers. 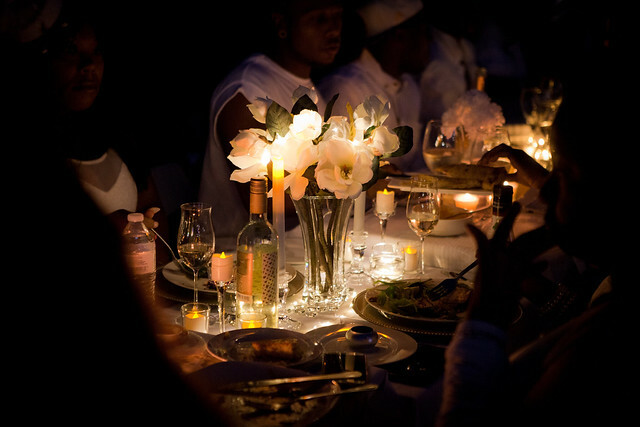 Local performers John Everett Martin featuring Bob Christopherson and Gregory Holt entertained diners until the ceremonial waving of the white napkin got the dinner party started. 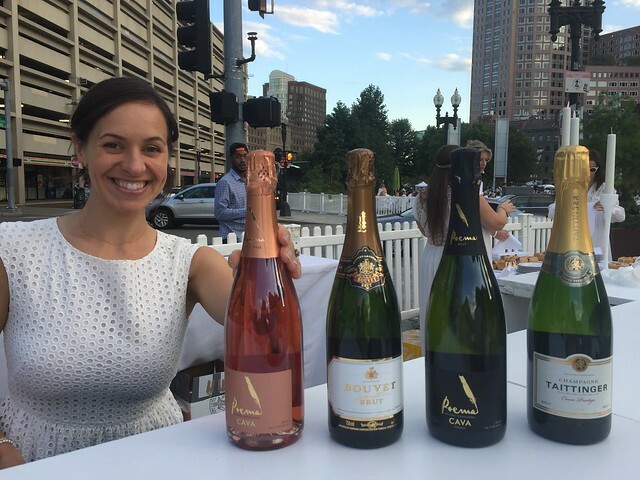 Guests enjoyed libations courtesy of Kobrand Wines and Champagne Taittinger. 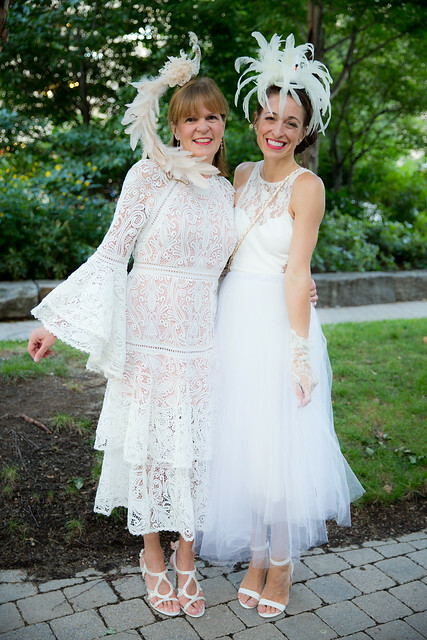 The local hosts of Le Dîner en Blanc Boston, Samantha Kanter, Anna Berezina and Kelly Early, worked with a number of volunteers and vendors Hive event bar production and rentals by Reserve Peak Event Services to create a chic ambiance and a gorgeous media lounge with banh mi and other light fare. 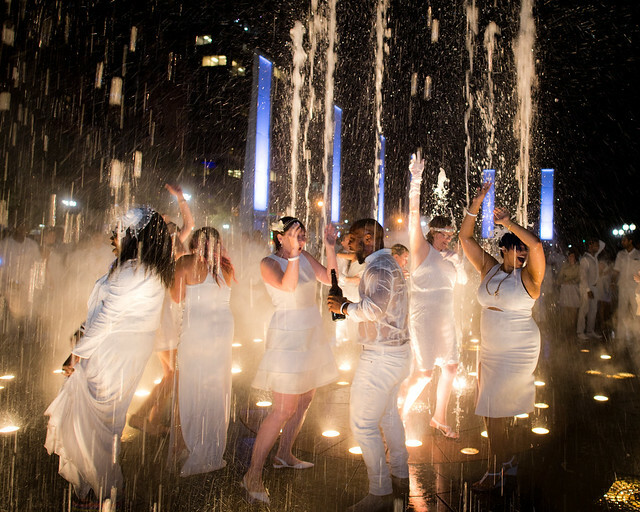 As the sun set and the dance party kicked off with DJ Ryan Brown and glowing sparklers aplenty, many guests couldn’t help but splash in the Greenway’s famous fountain. 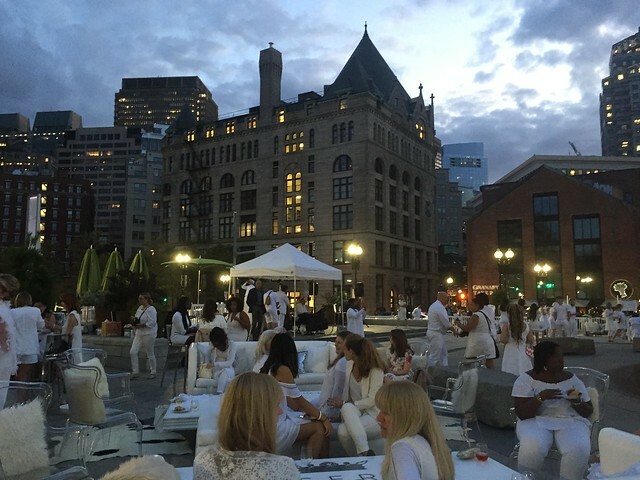 Every year it seems the Boston Le Dîner en Blanc party grows, with this year’s sold out event being testament to the growing interest in the annual pop-up party.